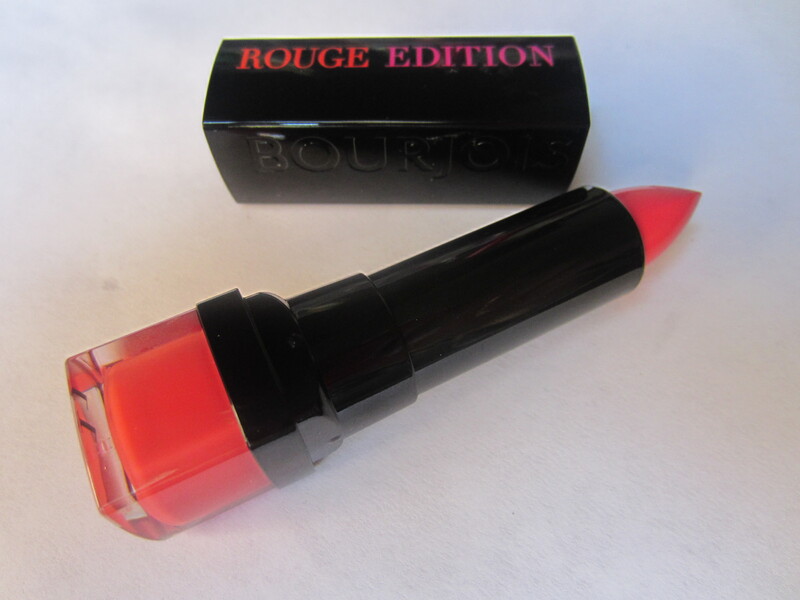 Bourjois Rouge Edition Lipstick in Fraise Remix! Over the summer, an amazing girl and even more amazing friend sent me a lovely care package. Mariska, from Simply-Polished, is a dutch beauty blogger that has impeccable taste in makeup. She tweeted me that Bourjois was having a BOGO on lipsticks and there was a shade that she had to send to me. I gladly accepted, on the condition that I could send her something in return. Well … this was the lipstick that prompted the little impromptu swap! This lipstick was also one of my favorite shades to wear on my lips in the summer! So why am I just now getting to this on my blog? 2 reasons; 1. I’m awful at taking pictures of my lips and was dreading swatching this, and 2. I’m lazy and every time I wore it I forgot to take a picture! Calling all fashionista’s out there… this new lipstick is for you! It’s ready to wear formula is enriched with ¼ of pure laque for a radiant, glossy finish and orchid blossom extract so it glides onto the lips leaving them feeling smooth, hydrated and protected for up to 10 hours. A “must-have” lipstick for every woman’s make-up bag. Tested and approved by fashion lovers. Available in 18 fashionable shades from natural nudes to pretty pinks, colour-blocking corals and classic reds, there are so many to choose from! A shade for every outfit and style! Stylish and sleek in design, it is the perfect fashion accessory for that trendsetting smile! What I like: the color! Its the perfect mix of pink and coral with a touch of red. This lipstick is really bright and highly highly pigmented. This is just 1 swipe across the lips, without any need to build up the color. I also love the finish! While it is a creme finish, it appears really glossy and has a lot of shine. 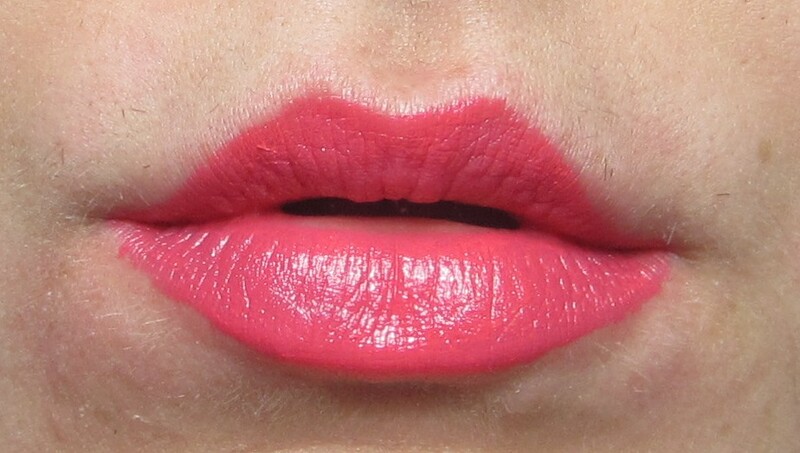 I also like wearing this a little more sheer or as a slight tint to my lips. I also love that it isn’t drying at all nor does it settle into my fine likes. Also, once it fades it leaves a nice pink tint to my lips which lasts for about 4-5 hours. What I don’t like: this only lasts on my lips about 2 hours. I am a non-fussy lip product girl, so any product that I can apply once and be good for a while I love. This isn’t really that type of lipstick and requires some touch ups. Also, while it is gorgeous, this is really only a type of color that I can wear in the summer. Overall, I love this lipstick and would love to get my hands on a few more shades. I love the finish, the feel, the texture, and the color. The only thing I’m not in love with is the longevity. But if you’re a girl who doesn’t mind touch ups throughout the day, then this is a great lipstick for you! What do you guys think? 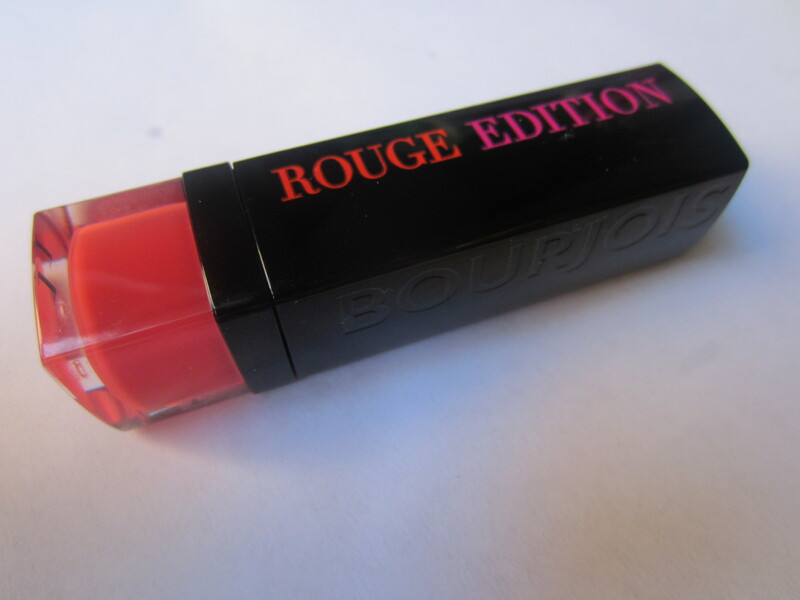 Do you have any Bourjois lipsticks? Friday Favorites!! Mac Shanghai Spice Cremesheen Lipstick! If you want this colour i can send i to you aswell, no probem.